Upload as many vehicles that they own. Find, join, or create Groups & Events in your area. 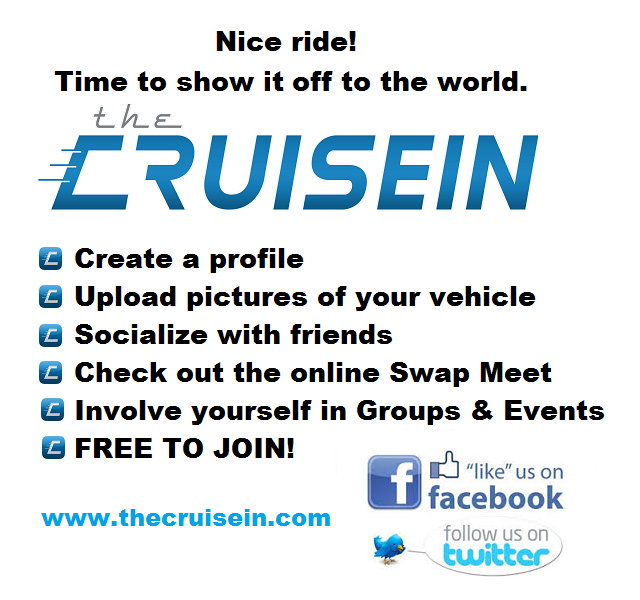 Canvas our online Swap Meet for cars/parts for sale. Also, feel free to like us on Facebook or follow us on Twitter. New users have a chance at being our vehicle pic of the day. And if anyone has any questions, I'll be checking in here regularly. Don't be shy! Give me some feedback! Thank you for sharing about this new social media site for enthusiasts with us. I love traveling very much and I love vehicles very much. Now with this site I think I can share more about my cars and interested vehicles. I also think that I can view more about cars and vehicles by reading other member's articles. It is really my interested area. Once again thank you so much for sharing this with us. This really does sound like my kind of sight, can anyone tell me what they think so far? Thinking of joining, would like to know how it is. This really does sound like my kind of sight, can FileZilla Malwarebytes Rufus anyone tell me what they think so far? Thinking of joining, would like to know how it is.